Distributing the photo of the suspect in three bank heists and giving her a cute (though inaccurate) nickname has paid off for the FBI. 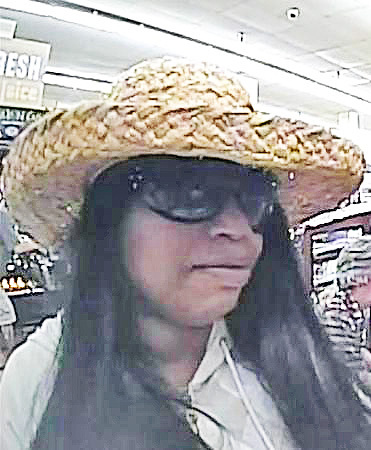 They've announced the arrest of Cynthia Wonsey, age 45, who multiple people identified as the woman the FBI calls the "Uptown Beach Bandit." Ms. Wonsey, of the 6000 block of Winthrop, is charged with the robbery of the TCF Bank in the Jewel on Broadway near Addison in Lakeview. She's also suspected of similar robberies at TCFs inside other Jewel stores along Broadway -- one at Montrose in Uptown, and one at Berwyn in Edgewater. In the Lakeview robbery, the robber approached the teller and threw a note at her that read: "Give me all your $100's $50's and $20's. I DO HAVE A GUN and I have a goon watching from the other aisle and HE HAS A GUN. So don't press any buttons put it in an envelope and nobody gets hurt! NOW! And don't move for five mins after I leave. Look you are being watched! 30 Seconds." Apparently there was no "goon," since the robber was observed leaving in a taxi. Her total from the robbery was $553, for which the penalty is up to 20 years in prison. According to the statement from the FBI, Ms. Wonsey was identified by four individuals who contacted the FBI, two of whom were relatives of hers. The teller from the Lakeview branch who dealt with the bank robber identified her from a photo line-up. Ms. Wonsey was arrested without incident on September 11th. You can read more about her at DNAinfo [link corrected] and at the ABC7 website.